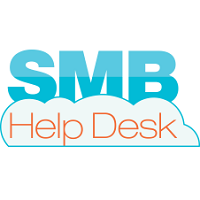 SMBHD is an award-winning, diverse team of engineers, developers, and consultants who specialize in transforming businesses with an extensive set of best-in-class digital solutions. We focus on a consultative, business first approach in everything we do, to solve challenges for mid-market companies. We strategically enhance our clients' environments with the right solutions, diverse expertise, compassion and a deep understanding of the client's vision. Our core capabilities include Managed IT Services, Infrastructure and IT Consulting, and Salesforce/Pardot Consulting. We're headquartered in Chicago, Illinois with an additional location in Austin, Texas. We strive to be more than just your average technology company. We hope to reflect community, diversity and integrity starting from the people we hire, our strategic partnerships, the best-in-class solutions we implement to our exceptional delivery practices.